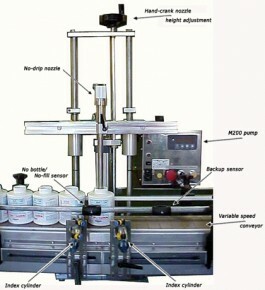 Filling range from 1ml to 1 gallon with filling accuracy of 0.5~1%. Product contact parts are SUS316. Filling capacity changeover through digital readout . no changeparts required. 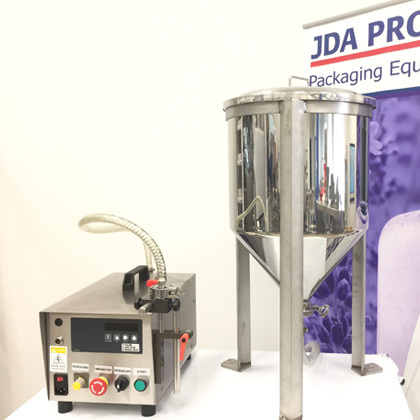 Able to operate individually, or can be automated with bottle gating system and additional pumps can be added as higher production speeds are required.